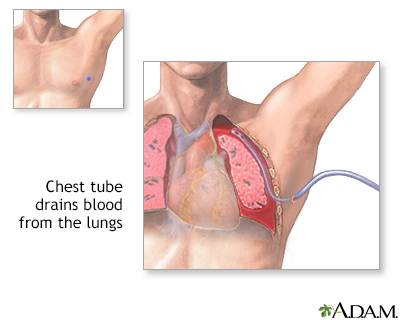 Chest tubes are inserted to drain blood, fluid, or air and allow full expansion of the lungs. 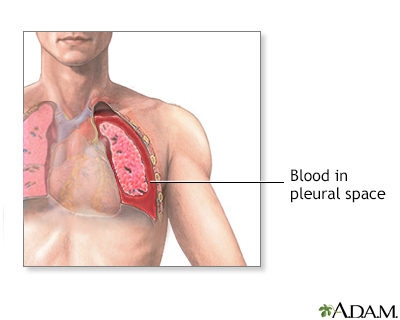 The tube is placed in the pleural space. The area where the tube will be inserted is numbed (local anesthesia). The patient may also be sedated. The chest tube is inserted between the ribs into the chest and is connected to a bottle or canister that contains sterile water. Suction is attached to the system to encourage drainage. A stitch (suture) and adhesive tape is used to keep the tube in place. 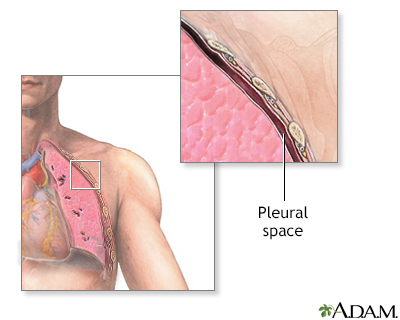 The chest tube usually remains in place until the X-rays show that all the blood, fluid, or air has drained from the chest and the lung has fully re-expanded. 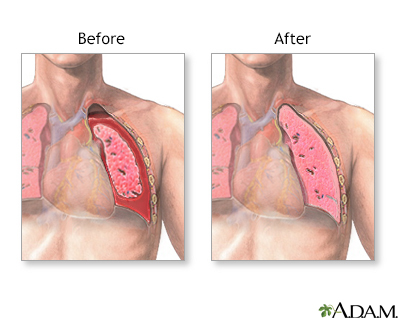 When the chest tube is no longer needed, it can be easily removed, usually without the need for medications to sedate or numb the patient. Medications may be used to prevent or treat infection (antibiotics). Recovery from the chest tube insertion and removal is usually complete, with only a small scar. The patient will stay in the hospital until the chest tube is removed. While the chest tube is in place, the nursing staff will carefully check for possible air leaks, breathing difficulties, and need for additional oxygen. Frequent deep breathing and coughing is necessary to help re-expand the lung, assist with drainage, and prevent normal fluids from collecting in the lungs.